(Bass Guitar Series). Matching folio to their critically acclaimed self-titled album. 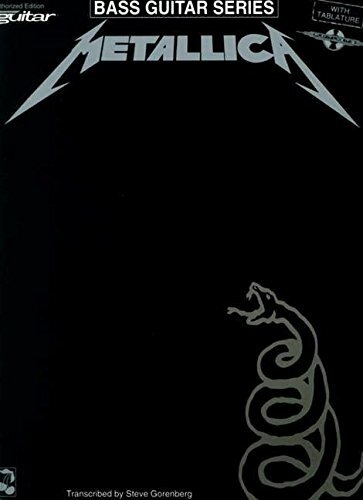 Includes: Enter Sandman * Sad But True * The Unforgiven * Don't Tread On Me * Of Wolf And Man * The God That Failed * Nothing Else Matters * and 5 more metal crunchers.